PERMANENT ADDRESS: Sativata (Near Padampur), Bargarh, Odisha, India. 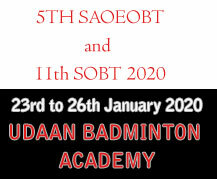 PRESENT ADDRESS: C/o Rabi Ranjan Pradhan, Lecturer, Biju Patnaik College, Boden, Nuapada-766111, Odisha. FAMILY: Father (Rabi Ranjan Pradhan, Odia lecturer), mother (Jayanti Pradhan) and elder brother Prachurya Pradhan (also a blind chess player). EDUCATION: Plus-Two science student of Biju Patnaik College, Boden, Nuapada. Earlier studied at Boden Government High School. RECEIVED COACHING FROM: Durga Prasad Mahapatra, Sekhar Chandra Sahu, Kesha Ranjan Pradhan. HOBBY: Music and reading science. * Finished runner-up in the chess event of the Special Olympics for Physically Challenged at Bhubaneswar On December 7, 2010. * Finished runner-up in the East Zone Chess Championship for Blind at Bhubaneswar on April 29, 2012. * Won the bronze medal in the 13th National `A’ Chess Championship for Visually Impaired, held at Andheri Sports Complex, Mumbai from Feb 3-11, 2018. * Qualified for the Visually Challenged Chess Olympiad by finishing fifth in the 12th National `A’ Chess Championship for Visually Challenged, held at Dharavi, Mumbai from March 3 to 11, 2017. * Bagged the title in the National `B’ Chess Championship for the Blind, which concluded at Manipal University in Karnataka on Dec 30, 2015. * Finished runner-up in the Fide Rated Chess Tournament for the Blind at Nagercoil in Tamil Nadu on March 3, 2015. * Finished runner-up in the National Open Fide Rated Chess Tournament for the Blind, held at Nabadwip in West Bengal from Dec 27 to 30, 2013. * Finished 4th in the KIIT Cup AICFB National `A` Chess Championship for the Blind at KIIT Campus in Bhubaneswar on Feb 1, 2013. * Finished eighth in the KIIT Cup National B Chess Championship for the Blind at Bhubaneswar on Dec 30, 2012. * Finished as the best U-13 player in the Junior National Chess Championship for Blind at Mumbai on January 29, 2012. * Emerged champion in the All-India Fide Rating Chess Tournament for the Blind at Hyderabad on June 3, 2012. * Won the silver medal in men’s team rapid VI-B2/B3 category of the 3rd Asian Para Games, held at Cempaka Putih Sports Hall in Jakarta, Indonesia from Oct 6-13, 2018. * Became the first Indian to win Silver Medal, the biggest personal achievement, in the 10th IBCA World Individual Junior Chess Championship for the Blind & Visually Impaired, held at Solec-Zdroj, Poland from August 14-23, 2018. * Won the bronze medal in the IBCA Asian Chess Championship for Visually Challenged, held at Manipal University, Udupi, Karnataka from March 23 to 31, 2017. * Finished 70th with 3.5 points in the 13th IBCA World Individual Chess Championship for Blind and Visually Impaired, held at Katerini in Greece from May 5 to 14, 2014. * Finished 12th among a total of 21 players in the World Junior Chess Championship for the Blind and Visually Impaired, which concluded at Belgrade (Serbia) on August 31, 2013. * Gained 10 rating points while representing India in the 7th World Blind Team Chess Championship at Zaragoza, Spain from June 11 to 22, 2013. * In July 2018, took admission in National Institute of Technology (NIT), Jamshedpur. * Achieved a rare feat by addressing Parliamentarians in a special programme organised by UNICEF on the occasion of World Children’s Day in New Delhi on November 20, 2017. 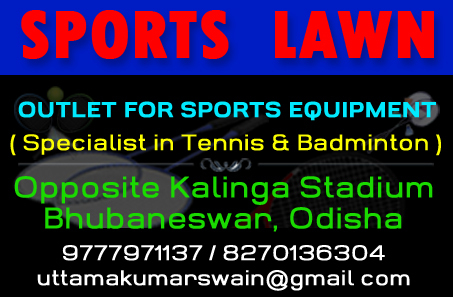 * Played first tournament at Bhubaneswar in 2008. * His uncle Kesha Ranjan Pradhan, who has represented Orissa in the National-B chess championship, initiated him into chess at the age of four years. * He has Lebers Congenital Amaurosis (LCA), a disease genetically passed through families and people with this disease are born blind. 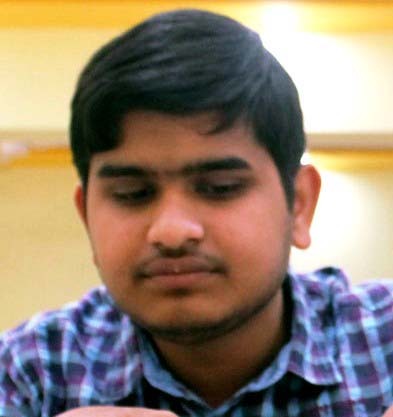 * Became the youngest Fide rated blind chess player of India with elo 1515. * In his school exhibition, he demonstrated Dutch astronomer Jan Oort’s 1950 discovery of Oort Cloud, which proved that comets come from a common region of the solar system. * He has keen interest in astronomy. * Wants to become a physics professor and a world champion in chess. * Like his brother, he is good in music, plays digital piano beautifully and sings film songs nicely.